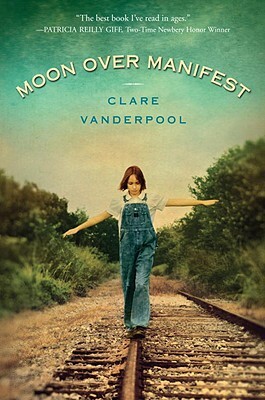 Simply, Moon Over Manifest is the story of 12-year-old Abilene Tucker moving to Manifest, Kansas during the summer of 1936. Abilene has been living on the road with her father, Gideon, riding the rails during the Great Depression. Now Gideon has decided that it would be better for her to live a more stable life, even if it means being away from him, back in his hometown while he works a railroad job in Des Moines. While in Manifest, Abilene tries to learn the story of her father’s younger days growing up in town. Abilene discovers a box of treasures containing several trinkets (a fishing lure, silver dollar, skeleton key, cork) and a number of letters. Another story develops within those letters. Another story is told by Miss Sadie, a diviner, as Abilene comes to work for her during the summer. Abilene is introduced to Jinx and Ned, two residents of 1918 Manifest. Abilene and two friends, Lettie and Ruthanne discover and investigate the Rattler, a Manifest legend, ignoring the warning that appears in the tree house, Fort Treeconderoga. The story of Manifest’s history is given in part by Miss Sadie in addition to Hattie Mae Harper’s newspaper articles. And I’m not even sure that’s it. Honestly. Moon Over Manifest demands a second read. Just looking back to double check facts I’ve already noticed two or three clues laid out in early chapters. Or remember Walk Two Moons? There was Sal’s journey across America with her grandparents, Sal’s family history in Kentucky, and the story Phoebe Winterbottom, Margaret Cadaver, and the potential lunatic. Again, three yarns knit seamlessly into one story tapestry with no loose ends. Books like these with multiple story lines are some of my favorites, and Moon Over Manifest ranks right up there. Readers will be kept guessing, at times sure they’ve got it figured out while a chapter later re-evaluating their previously drawn conclusions. In the end readers will want to race forward to see the spectacular conclusion. Then readers can turn back to page one and slowly savor the story a second time. The cover of Interrupting Chicken pretty much explains the story. Papa is ready to read the little red chicken a bedtime story, yet even on the book’s cover, the little red chicken doesn’t allow readers to get to author David Ezra Stein’s name before interrupting. Whoops. Papa reminds little red chicken not to get so involved in the story, to relax so she can fall asleep. The next story is Little Red Riding Hood. Just as Red is about to respond to the stranger she meets in the woods on the path to Grandma’s house … well, you can guess what happens. Papa tries Chicken Little, again with predictable results. The little red chicken prevents a sky-is-falling panic by announcing it was only an acorn. And with that, Papa is out of stories. He suggests that the little red chicken tell him a bedtime story instead. She agrees and chooses one of her own stories, Bedtime for Papa by CHiKn. Then, wouldn’t you know it, just as the story gets rolling, another interruption. This time it’s Papa doing the interrupting, but for a totally different reason. 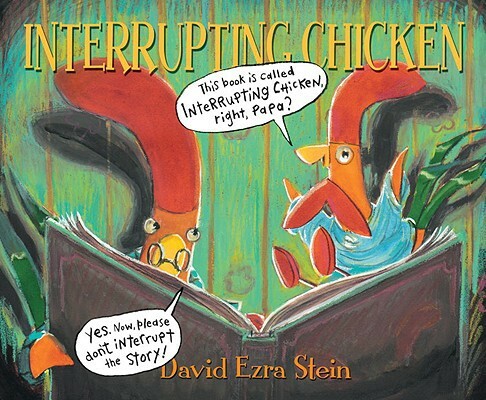 Interrupting Chicken won a 2011 Caldecott Honor for its illustrations. I’m not much of an art critic - enough of one, maybe, to say that these are bold illustrations and that I like the added touches of candy spilling out from beneath the pages of Hansel and Gretel and the crayon artwork of the little red chicken’s story - so I’m not really qualified to comment on pictures. 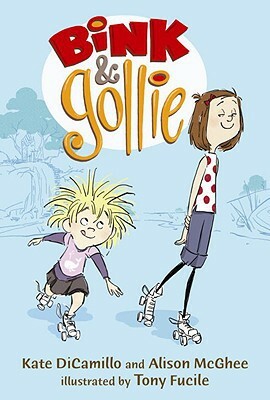 But I do feel comfortable recommending the book for young readers. It’s laugh-out-loud funny, especially when the reader puts the proper excitement into the little red chicken’s interruptions. Amos McGee is a responsible man, rising early every morning. He always wears a fresh-pressed uniform, eats his sensible breakfast, and takes the 6 a.m. bus to work at the zoo. Amos McGee appears to be a man content with his life as well. Even as the city has grown up around him, he continues to live in the same modest house, now sandwiched between high rise apartments. Every day at work Amos McGee makes time for his friends. He plays chess with the elephant, who is very thoughtful. He races the tortoise, a tough competitor. The penguin is shy, but Amos sits with him. He always has a hanky for rhinoceros’s runny nose. 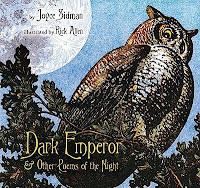 And at the end of the day he shares a storybook with owl, who doesn’t like the dark. So what happens when the routine changes? “One day Amos awoke with the sniffles, and the sneezes, and the chills.” What happens if all the animals wait for their friend, Amos, but he never arrives? They do what friends do, of course. They go to him. There are games and runny noses and quiet visits and contests and stories and even a pot of tea. 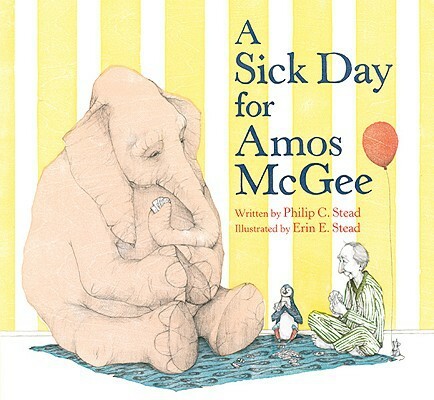 All on A Sick Day for Amos McGee. 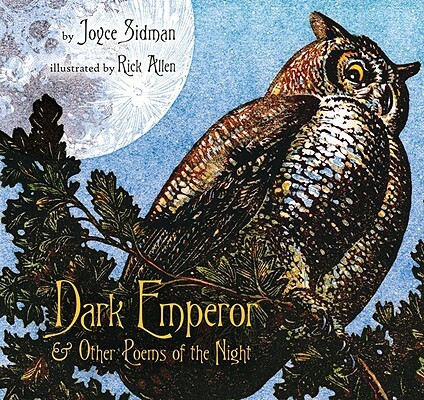 The 2011 Caldecott Medal winner was illustrated by Erin E. Stead using woodblock printing and pencil. Minimal color is used creating a look and mood to match the quiet, contemplative story. The story, while featuring an older gentleman and zoo animals, could easily be used in classrooms to discuss friendship. Despite their differences Amos McGee and the animals not only share time together as friends, but they do for one another as friends do. Yesterday the ALA announced the winners of the Randalph Caldecott Award, given to "the most distinguished American picture book for children." I offered some initial thoughts on the Newbery winners, and here are my first reactions to the 2011 Caldecott Medal winner and Honor Books. 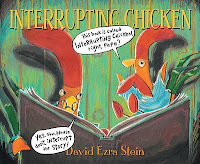 Interrupting Chicken by David Ezra Stein - In a word, "Woo-Hoo!" Unless that's two words. Either way the Help Readers Love Reading household, especially the resident eight-year-old, was thrilled when Interrupting Chicken was announced. A funny bedtime story where the wrong character ends up in dreamland. Dave, The Potter by Laban Carrick Hill - I'm unfamiliar with this book, but from the little I've seen online, Bryan Collier's illustrations look deep, rich, and deserving of recognition. I'm excited to see the whole thing. 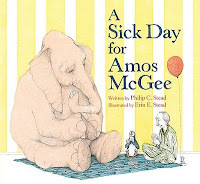 A Sick Day for Amos McGee by Philip Christian Stead - I've seen this one tossed around in various mock discussions, but I haven't read it. The cover features an elephant, penguin, old man in pajamas, and a mouse holding a helium balloon, all playing cards. What's not to like? Kindly please hurry up, library processing system, so's I can read it myself. Thanks. To young couples considering starting a family, it might be a warning. To expectant parents, it could be a frank look at imminent family changes. To already-been-there parents, it’s preaching to the choir. To grandparents, it’ll bring about giggles. 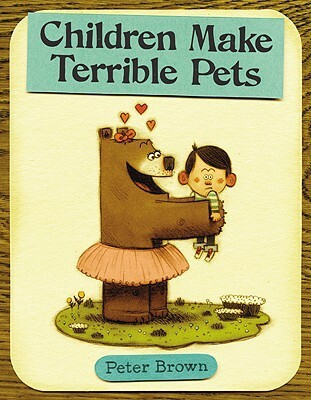 And to kids it will cause laughter and demands for rereads. 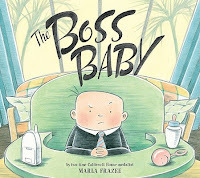 But no matter the reader, The Boss Baby by Marla Frazee will definitely be enjoyed. One day, suddenly, “his staff did not respond.” The boss had worked Mom and Dad to their limit, and none of his usual methods for getting what he wanted could rouse them from their midday slumber. A new tactic was necessary. Some out-of-the-box thinking was needed from company leadership, and the idea he settled upon produces amazing results. The Boss Baby takes a unique look the effect a new member can have on the family. Everything mentioned is exactly right. Babies make demands, everyone’s schedule becomes the baby’s schedule, and baby supplies take over the house. 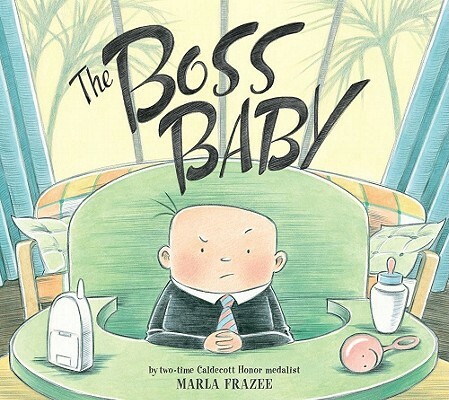 But when the new baby is wearing a suit and tie, it becomes ever more apparent who the boss actually is. Subsequent readings and closer analysis of Marla Frazee’s illustrations will bring even more appreciation of the book. Think about a boss of a major company. Bosses have their own lounge, spa, executive gym, made to order drinks, and a private jet. So does the baby in his own baby way. The plastic tub in the sink is the spa. Play sets become the executive gym. The private jet swings through and open doorway and is connected to the frame. No perk is excluded for this boss. No matter who the reader, The Boss Baby (both the book and actual babies snuggled up for reading time) will be loved.